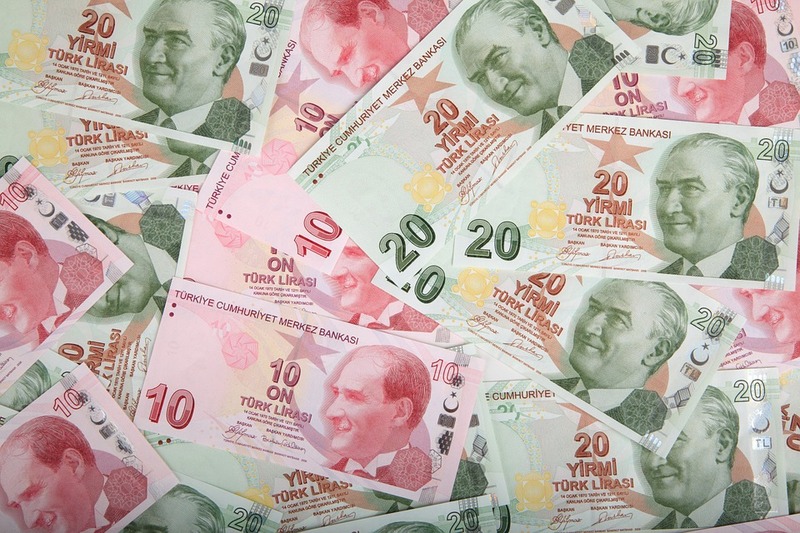 The Turkish lira has been making headlines worldwide in recent weeks. Since the start of 2018, the lira has lost over 40 percent of its value against the euro. The crisis threatens the stability of other emerging markets and indeed, that of the Eurozone whose banks hold significant Turkish investments on their balance sheets. It may seem such events may only hold actionable implications for large financial institutions, governments and multinational corporations; however, every crisis is an opportunity for small businesses to reassess their export-import strategy and gain a competitive advantage from the new status quo. This article aims to shed light on some of the implications of Turkey’s woes on small and medium enterprises. Like so many economic phenomena this decade, this crisis has its roots deeply in the 2008-9 Financial Crisis and the response of policymakers thereof. To counteract the contraction in credit markets and spur growth after the ’08 crisis, the US Federal Reserve lowered interest rates and undertook a large bond buying programme known as “Quantitative Easing” (QE). The European Central Bank followed with its own QE programme in 2015. The result of these policies was the cost of borrowing in dollars and euros sharply fell. Low foreign borrowing costs were good news for a Turkish economy characterised by a large and consistent trade deficit. Foreign investment into Turkey allowed Turkish consumers to continue consume foreign goods in large quantities. Borrowing in foreign currency has the obvious effect of allowing consumers import foreign goods which would otherwise be beyond their means. However, it also poses significant risks. The cost of loan repayments are determined by factors beyond your control; in a sense you are betting your lender’s currency won’t appreciate. However, in 2018 moves by the US Fed signalled that Turkey’s bet wasn’t going to pay off. Increases to the interest rate signalled the US dollar was on a steady path towards appreciation. That coupled with defiant comments by Turkish president Erdogan triggered a loss of confidence of international investors. All of a sudden, the funds which had sustained the Turkish currency and Turkish spending were gone. The crisis will most likely prompt a restructuring of the Turkish economy. The country’s large trade deficit is facing a significant contraction. Now is not the time to expand into Turkey. Nevertheless, the crisis offers opportunities to those seeking to reorganise their supply chains. The lira’s devaluation will add competitiveness to an already substantial Turkish manufacturing industry. In particular, the textile industry will likely to benefit from these developments – a factor worth noting for suppliers and importers of clothing items. Furthermore, trade between Turkey and Ireland is greatly facilitated by Turkey’s participation in the EU Customs Union. For firms already exporting to Turkey, the profits once present in the country may be harder to come by. As such, it may be worth considering expansion to consumer markets similar to that of Turkey. Despite the crisis in Turkey, a number of Middle Eastern counties have performed well in 2018. The rise in global energy prices has seen the spending power of Middle Eastern countries such as Kuwait increase substantially. Finally, it is also worth noting Turkish tastes and preferences require servicing throughout the Turkish diaspora and expansion into countries with a large Turkish community such as Germany may compensate somewhat for the lira’s decline.